The weather on the Central Coast of California is interesting and diverse. It is hard to pack for a trip to the central coast because it can be cold or cool in one place and burning hot a few miles away. We live in Cambria, Ca. and if we drive 25 miles, over highway 46, to Paso Robles it can be in the 100's. You can be in thick fog in Cambria and drive over the hill and the sun is shining. We suggest you always bring a jacket. I moved to Cambria, Ca. from the Mississippi gulf coast in August. When I left Biloxi it was miserably hot. When I arrived in Cambria I took a walk on Moonstone beach and almost froze to death. I don't wear shorts in Cambria and I always have a jacket close. In fact, on almost any day of the year I wear a lite jacket or sweater. However, and this is a big however, if the wind changes we can get an off shore wave of hot air which can put the temps in the 100's. This doesn't happen very often but when it does we are extremely unconfortable. Most people in Cambria and other coastal towns do not have air conditioning. The good thing is the heat only last for a few days. For the most part, the central coast weather is absolutely fantastic when compared to other places around the country. CCTAdventures includes a Central Coast weather report for every town on the Central Coast of California. We want your vacation or day trip to our towns to be fun and we want you to know how to pack. So, if you want to know the weather for Cambria or Paso Robles etc. you can go to one of our pages or to Central Coast Weather Click Here. 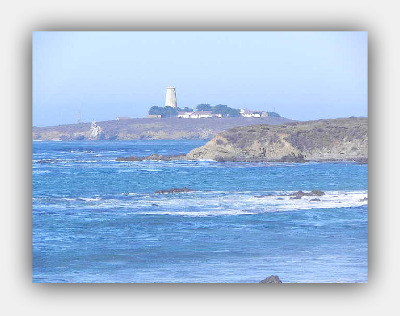 Travel tips can be a dime a dozen, our tips are going to help you have a great time on the Central Coast of California. We want you and your family to have the best vacation or day trip you have ever had. We are going to go the second mile and give you information no other site on the web gives. So, make sure you click on the orange RSS button at the top left hand side of the page and sign up for our blog. One of the best travel tips we can give is use Kayak to book your hotel or air flight to the central coast. Additional Travel Ideas and Links. 2. Travel Tips - Click Here. Do you have a few travel tips you want to share? Please take a minute and share your ideas.